Nineteen timber stables 12' by 12' in size arranged in a south facing "U" shape. Two corner boxes 15' by 15' in size these are ideal for large horses. 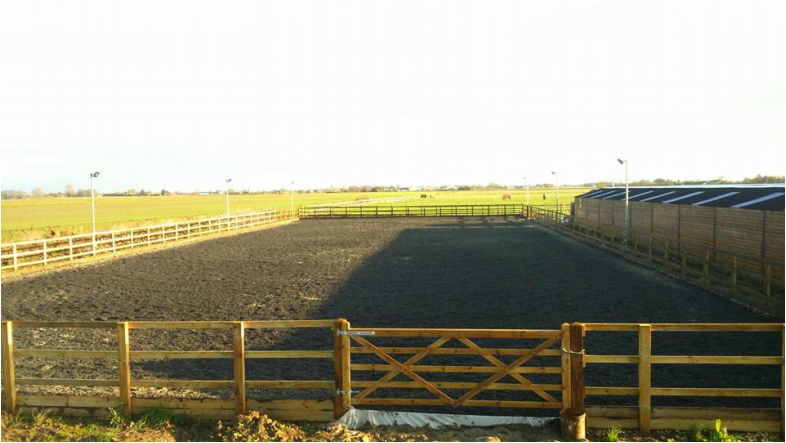 A 60m x 20m sand and rubber floodlit outdoor arena. A barn containing large individual storage areas. Daily turnout all year round on 24 acres of purpose seeded pasture. 24/7 turnout available March to October if required. Individual or small group turnout. Starvation paddock for laminitics. Storage for horseboxes and trailers.